We’re having a Hot Chocolate Recipe Party around here. 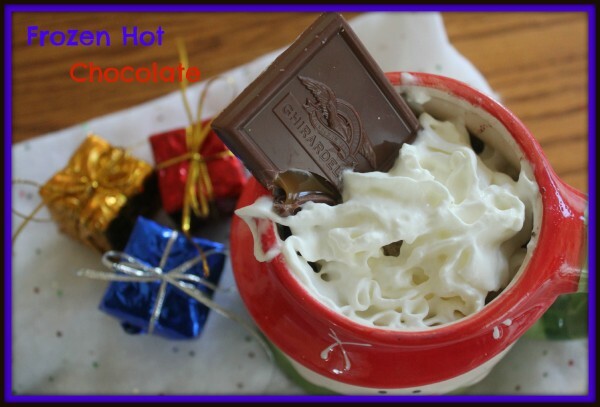 Join me, with the host, Sandy Toes and Popsicles, and other fun ladies during this Hot Chocolate Recipe Party. I don’t know about you, but something about this time of the year that just makes you want to cozy up around the fireplace and drink a warm or in this case, cold cup of HOT Chocolate. 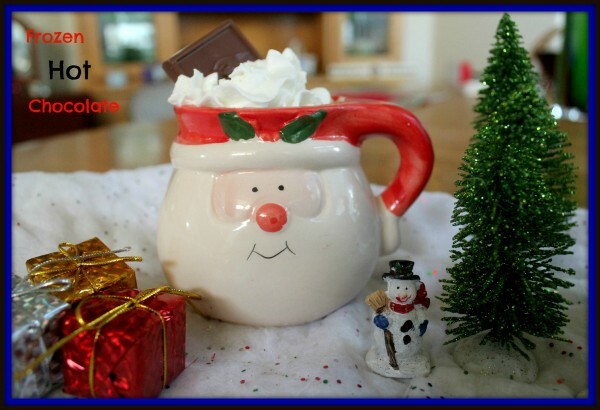 Looking for a new way to drink your hot chocolate then you don’t want to miss out on all these fun recipes. We’re having fun over here getting into the holiday spirit. This year is no exception. The tree will be up by the end of the weekend with a few nights of celebrating a few Christmas Tree lightings around town. But the best part is coming home and drinking a cup of hot chocolate. The above printable was created by our lovely host, Jill from Sandy Toes and Popsicles. Sounds even better than Serendipity! 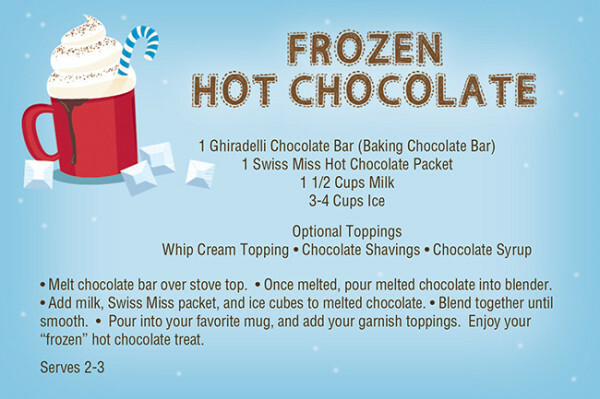 I have always wanted to make frozen hot chocolate…now I am going to have to. This looks so good, thanks for the recipe!!!!!! Yum! I would add coffee ice cubes too or those little packets of Starbucks instant or maybe peppermint…. Hooray! Good, isn’t it? =) I’m thinking about adding some other things into it to play around… glad you enjoyed! Looks delicious! I am definitely going to make this.